Our family enjoyed another fantastic trip to Sunset Beach, NC. Everyday, we walked down to the beach to play in the sand and ocean. We didn’t venture too far out in the water because of all the shark attacks. The warm water on our feet and toes was all we needed to relax and unwind. However, we did venture out to new waters and did some exploring with the kids. One of our new adventures was the pier at Sunset Beach. 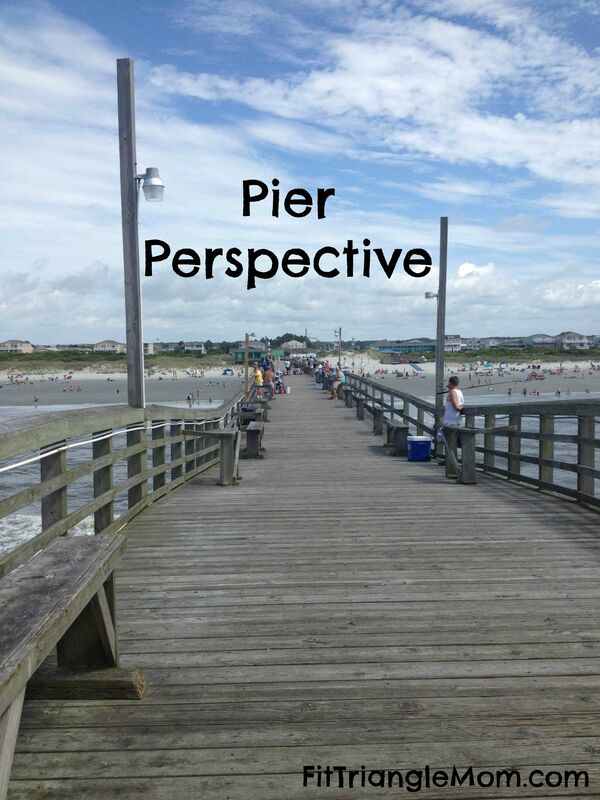 It costs $1 per person to walk (it costs more to fish) on the Sunset Beach Pier, and it is well worth the price. You pay at the little shop on the pier that doubles as a grill. I felt like we were stepping back in time when we opened the door and saw the Budweiser light fixture hanging from the ceiling. 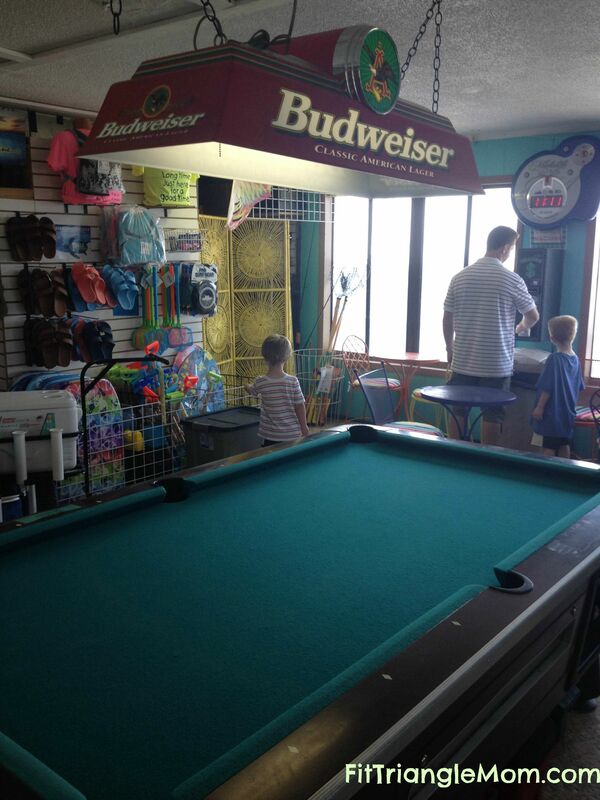 The store has two pool tables, bait and t-shirts, and a beautiful view of the pier and ocean to look at while eating a burger and fries. The adventure began beyond the pier store and grill as we walked through another door that led out to the 900-foot long pier and started walking on the wooden boards. Salt water and live bait peppered in the wind. A mini history of the Island of Sunset Beach was displayed on the railings. I was amazed to learn that the island was once called Bald Island until Mannon C. Gore purchased the island and renamed it Sunset Beach. Thank goodness. There were plenty of fishermen and women on the pier, and they welcomed us with their tales of the sea. We walked nearly to the end of the pier (the end of the pier is reserved for King fishers, an additional cost) to the observe the “kings” in action. We were not disappointed when one of them snagged a sea turtle on his line, and had to carefully reel the sea turtle in to free it from the hook. The sea turtle was then cautiously lowered back into ocean. The boys were ecstatic. We always hear about the sea turtles nesting on Sunset Beach, but this was the first time we had ever seen one. Not too long after the sea turtle sighting, we heard more excitement coming from the other side of the pier. A teen girl had a bite and she was happily reeling it in. We rushed over to see what was on her line, and was surprised that she caught a baby shark. Thankfully, we hadn’t seen a shark our entire trip. 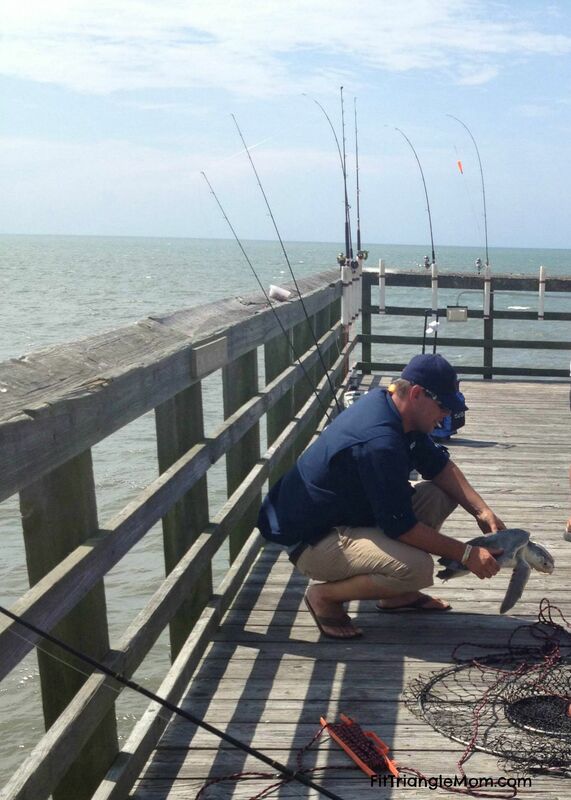 The girl and her dad shared stories with us about other shark sightings while fishing on the pier. She threw the shark back, and we continued on our walk. Until a man stopped us and asked if our son, Aiden could help him reel in a fish on his line. Aiden beamed with joy as he grabbed the rod and started reeling as hard and fast as he could. He finally pulled the little fish in and proudly held the line as I snapped pictures of him and his fish before tossing it back. We were on the pier for less than 2 hours, but we experienced memories that will last a lifetime. 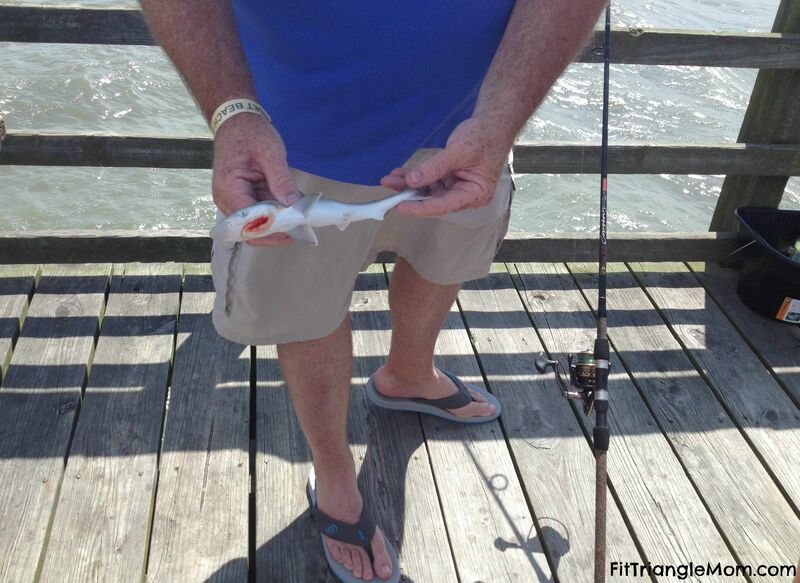 You don’t have to fish to make a great catch on the pier, you just have to be there. It’s all about your perspective. So beautiful! I really hope I can take my kids to the ocean soon! Thank you for sharing this at the #SmallVictoriesSundayLinkup! Echo recently posted…4 Years Old! It’s a really beautiful place. I hope you get to go to the beach soon too. I have salt water in my veins! A home by the water is my dream. I’m not picky; it can be salty or fresh for me. Kids just love fishing don’t they? I was really surprised how much my “city” kids enjoyed it and how much they want to go fishing again. I’ve never been to Sunset Beach, NC but it looks great! It’s amazing how a simple activity could be so much fun. 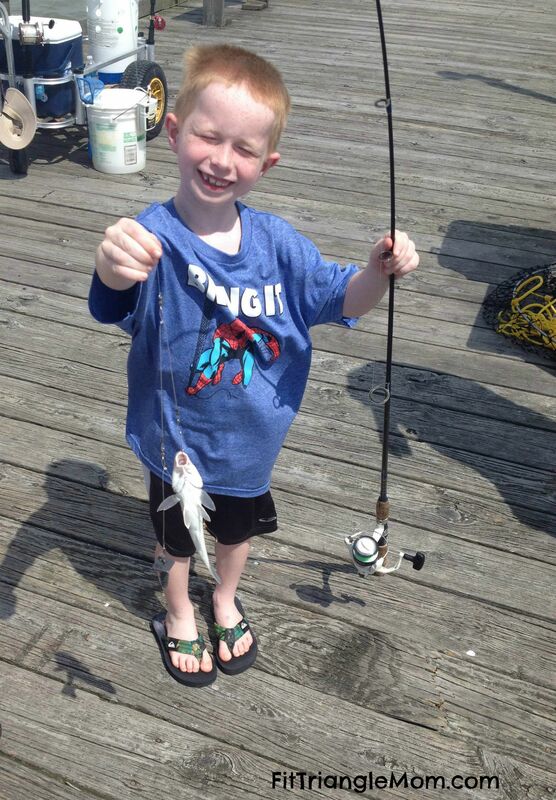 The feeling when you reel in your first fish- priceless. You need to visit Sunset Beach for the pier, the Kindred Spirit mailbox, and the white sandy beaches.